Berkeley – On August 6th the Berkeley College of Chemistry reported that the Berkeley Center for Green Chemistry (BCGC) would be sharing a $35,000 cash award for its entry in the “Developing New Preservatives for Personal Care & Household Products” challenge held by the Green Chemistry & Commerce Council (GC3) and InnoCentive. BCGC was part of an academic/industry/government team comprising researchers from the Western Regional Research Center (Albany, CA) of the USDA, University of Victoria, the household products manufacturer Method Products, and the green chemistry venture capital fund Safer Made. The challenge required teams to develop, test, and present a preservative compound that prevented bacterial and fungal growth in cleaning and personal care products. Nearly 50 teams entered the contest, which launched April, 2017, and offered a first place prize of $150,000. The BCGC team was one of four first place finalists who split the top prize. Their winning entry was a “reversible” preservative compound, which was active in higher concentrations, as a product, but inactive once it was diluted, causing its two subunits to split apart harmlessly in wastewater and or the environment. The research and development of this novel preservative built on research and collaborations that started with the Greener Solutions class of 2014, and have grown through a series of internships, research projects and industrial partnerships. The work required an interdisciplinary team of chemists, microbiologists, toxicologists, and product formulators. Several members of the winning research team are associates of BCGC: Heather Buckley (former board member of BCGC and Greener Solutions Student, now Assistant Professor at University of Victoria), William Hart-Cooper (current associate director and co-instructor of the Greener Solutions course, now Research Chemist at the USDA), Kaj Johnson (Green Chef at Method Products and Greener Solutions partner), and Marty Mulvihill (former Executive Director of BCGC and Greener Solutions instructor, current BCGC board member and co-founder of Safer Made). All have been a part of the BCGC preservatives work from the very beginning, and carried the project through its many phases as their careers have progressed. David Faulkner (former SAGE student and current BCGC postdoc) joined the research project in 2015. In 2017, the team published a report of some of their initial findings in the search for safer preservatives, and the article was selected for inclusion in the ACS Virtual Special Issue on Promoting the Development and Use of Quantitative Sustainability Metrics in the journal ACS Sustainable Chemistry and Engineering. The BCGC is proud of its role in the work on this award-winning project, and we are excited to continue it, developing safer preservative compounds and advancing the role of green chemistry in personal care products. The formal announcement can be found here. 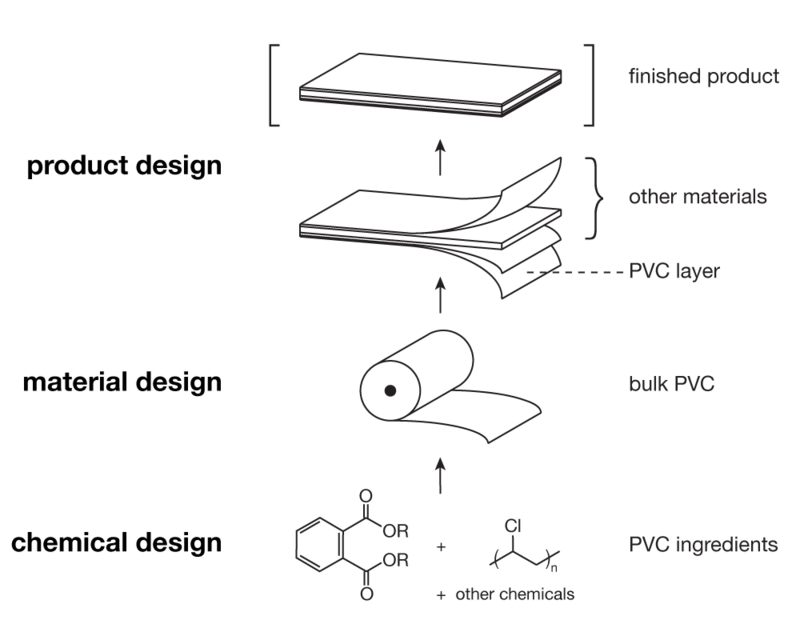 In early 2015, the Berkeley Center for Green Chemistry initiated a joint project with Autodesk (Project Nido) to assess the resin formulae currently used in their stereolithography (SLA) demonstration printer, the Ember. As an extension of this consulting effort, BCGC and Autodesk agreed to partner in the Greener Solutions course later that fall. An interdisciplinary graduate student team investigated bio-inspired solutions and offered a range of solutions to address the environmental and human health hazard implications of additive manufacturing (AM). Concurrently, Justin Bours, part of the initial consulting team and now funded through a joint BCGC and Northwest Green Chemistry internship program, developed a framework to combine a life cycle assessment with hazard and green design metrics, and tested the framework on different AM materials including a bio-sourced polymer. This work created the foundation for Northwest Green Chemistry to launch a Sustainable Materials Framework Roundtable for Additive Manufacturing initiative in May, 2017. The Sustainable Materials Framework for Additive Manufacturing Roundtable is sponsored by Northwest Green Chemistry, Autodesk, Cradle-to-Cradle Products Innovation Institute, and Washington Department of Ecology. Participants include NGOs, academia, government agencies, material suppliers, material designers, printer manufacturers, end-users, and consulting firms. Now in our second year of focus on additive manufacturing, BCGC is proud to be participating in this industry roundtable as an extension of our original research and consulting work. The goal of the project is to develop a flexible framework that will aid everyone in the additive manufacturing industry including innovators, developers, product designers, print operators, and end-users to create and select safe AM materials for their needs. The framework is to be used as an assessment tool and aims to adapt to the AM industry as it continues to evolve in order to highlight key decision making issues. In order to generate a comprehensive picture of materials in AM, diverse metrics such as LCA, risk assessment and chemical hazard assessment are important factors that the roundtable is targeting to include during the development of the framework. Bringing together the diverse participants in one roundtable will help shape the development of the flexible framework model. Participants will share their expertise and insights and learn from other AM professionals. This knowledge base will help the participants further the development of more sustainable products. _______________________________________________________________Northwest Green Chemistry is a non-profit organization that aims to enhances human and environmental health by fostering innovation and economic opportunities through sustainable and green chemistry and engineering solutions (Northwest Green Chemistry). I occasionally run reactions in water, and it is awesome. I LOVE not worrying as much about cancer. Unfortunately many interesting chemicals are simply too hydrophobic to allow reactions to be run in aqueous solution. As anyone who has ever scrubbed a greasy pan will know, one way to get around the solubility problem is with soap. Also called emulsifiers, surfactants, amphiphiles, a soap by any name is pretty much the same thing in my mind (though others will disagree I’m sure). Molecules with hydrophilic and hydrophobic ends can form micelles in water, creating variously-shaped and sized particles with hydrophobic cores. Using those hydrophobic cores as reaction media is a concept known as micellar catalysis. The Lipshutz group was not the first player in this arena, but they have been at it for some time. They recently teamed up with the medicinal chemistry company Kalexsyn and came out with a new amphiphile that caught my eye, dubbed TPGS-750-M.
During graduate school in California I was very aware of the tremendous amount of household furniture loaded with flame retardant polybrominated diphenyl ether chemicals. Those chemicals do a great job of reducing the flammability of numerous petroleum-based products. Unfortunately their non-covalent incorporation in the polymers speeds their environmental release. Once in the environment, they break down slowly and bioaccumulate. Additionally there are numerous human health and ecological concerns with these chemicals, including their association with decreased fertility in humans (ref). That is why this paper on flame-retarding poly(propylene carbonate) (PPC) caught my eye. Another reason could have been the flames in their graphical abstract! As luck would have it the chemistry is neat too, flames aside. The researchers begin by highlighting (bragging about?) the fact that they have an actual pilot plant in which they use their cobalt-salen-based catalyst to polymerize CO2 and propylene oxide to PPC (Note: experiments from this study were not performed in the pilot plant). The catalyst displays high turnover frequency (15,000/h) and produces high molecular weight polymers (Mn = 300,000).